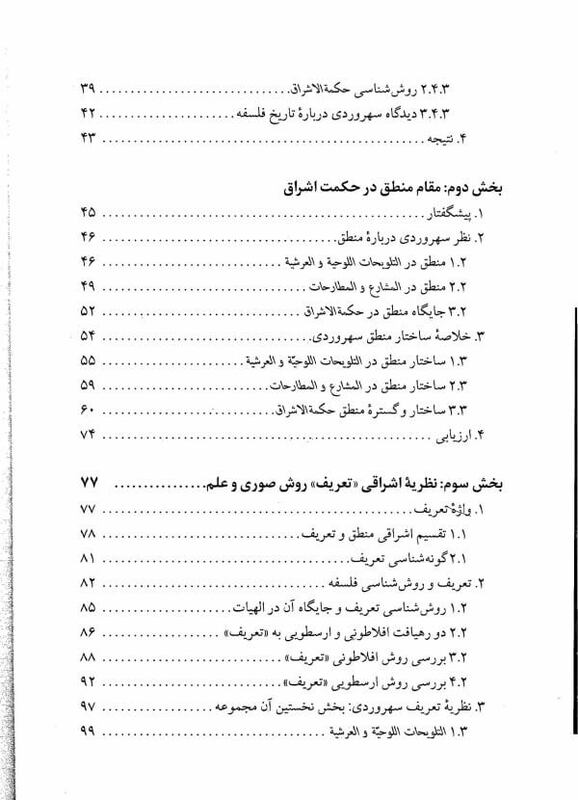 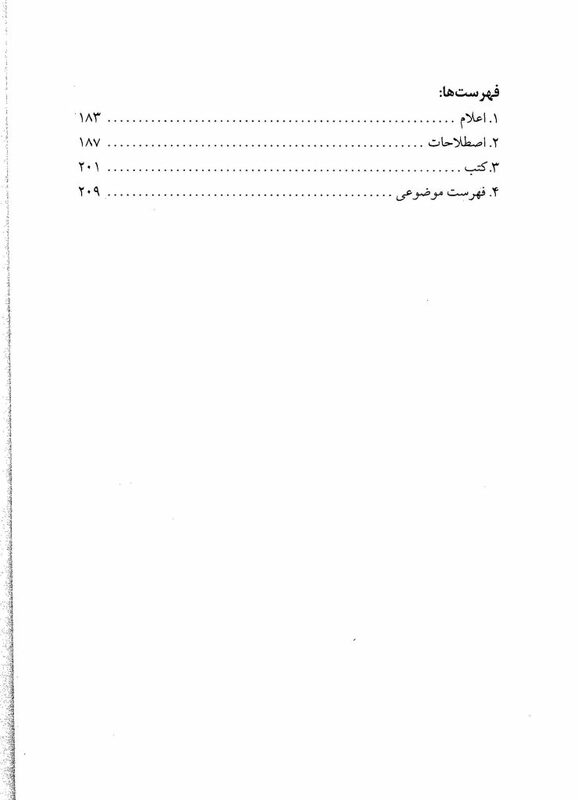 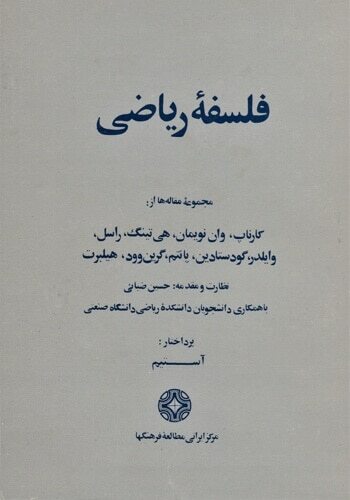 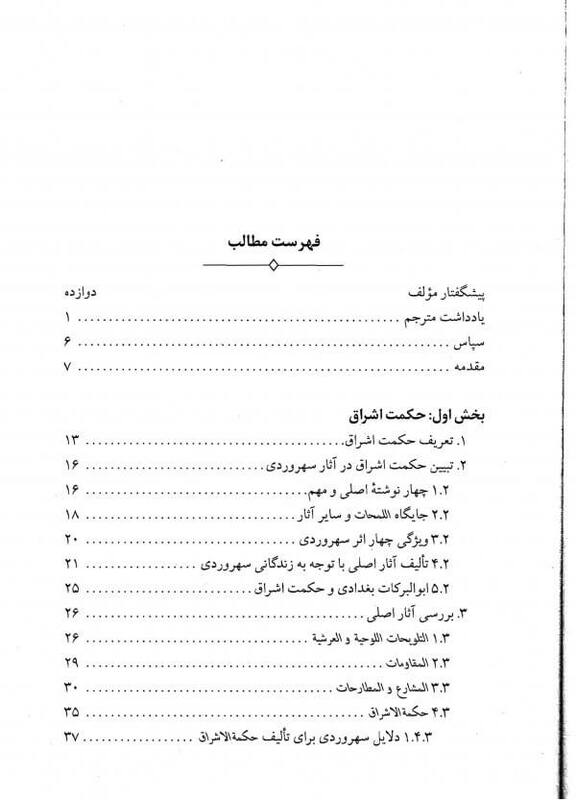 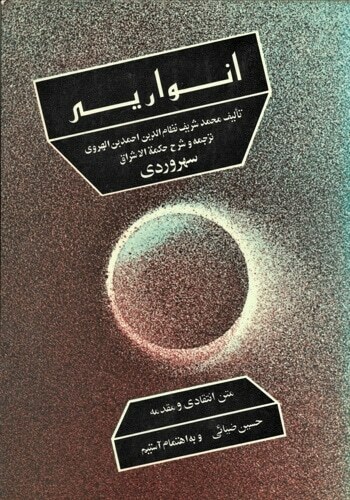 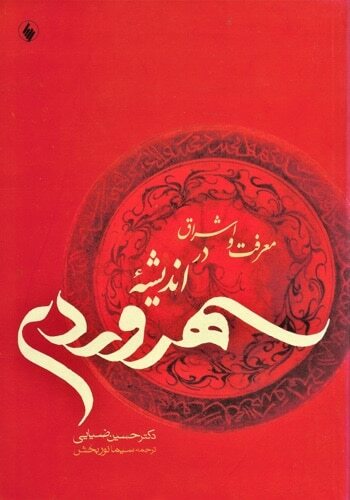 Maʿrefat va Eshrāq dar Andīshe-ye Sohravardī is a Persian translation by Sima Noorbakhsh (2005) of Hossein’s Ziai’s Knowledge and Illumination (1990), an analysis of Shihāb al-Dīn Sohravardī’s (“Suhrawardī” in Arabic) four major works: Intimations التلویحات, Apposites المقاومات, Paths and Havens المشارع والمطارحات, and Philosophy of Illumination حکمت الاشراق. 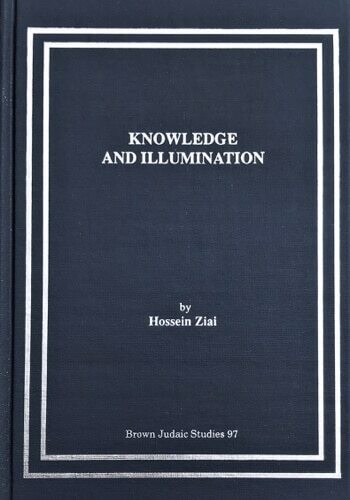 It examines Illuminationist philosophy, methodology, and logic; Sohravardī’s theory of definition, knowledge, illumination, and cosmology; and his critique of the Peripatetics. 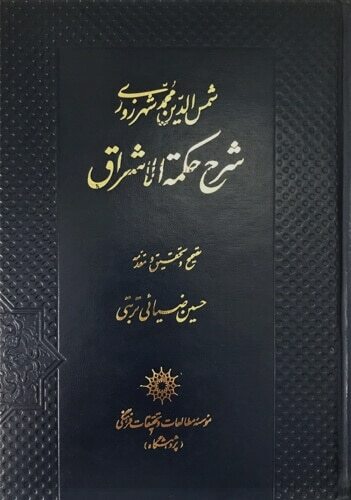 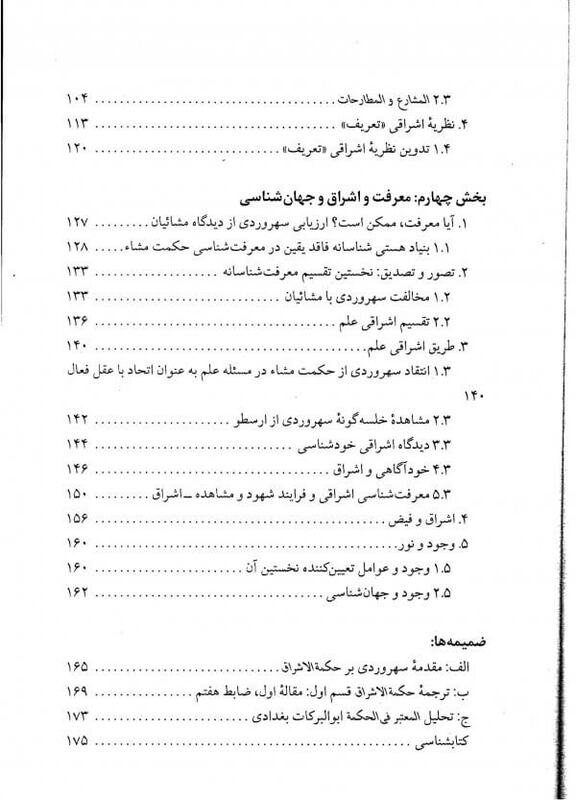 The appendices include Persian translations of Sohravardī’s introduction to his Ḥikmat al-Ishrāq, and Part One: The Seventh Rule, and an analysis of Abu’l Barakāt al-Baghdādi’s Evidential: Logic, المعتبر فی الحکمت.